Our intimate day of learning and networking features industry-renowned experts focusing on digital marketing initiatives tailored for SEOs. SEJ Summit "A Day of Keynotes" is a unique conference experience tailored for search marketers. The event features a single track of vetted, keynote-style presentations given by industry experts and over three hours of high-quality networking opportunities. We have you covered all day. Catered meals (a continental breakfast, sit-down lunch with speakers, refreshment breaks, and a networking reception with full bar and tray passed hors d'oeuvres), high-speed internet, downloadable speaker presentations, and gifts from participating sponsors will be provided. No sales pitches, product demos, or sponsored content is permitted during SEJ Summit sessions. Our top priority is to provide an actionable, impactful, and memorable experience for you. Joining Google in 2005, Maile works closely with Google’s Search and Webmaster Tools teams as a Developer Programs Tech Lead. Her goal is to support and advocate on behalf of all site owners. 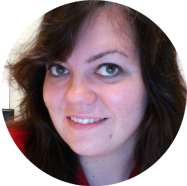 A few of Maile’s projects include rel=”canonical” (co-author of the IETF RFC), and rel=”next” and rel=”prev” for paginated content. Maile often speaks publicly about SEO, including keynotes at SES Chicago and SMX Munich. She also co-authored Building Web Apps for Google TV (O’Reilly). Prior to Google, Maile was a systems integrator specializing in content management systems for organizations including AT&T and the Office of the Secretary of Defense. She earned a B.A. in Cognitive Science with a Computer Science emphasis from the University of California at Berkeley. 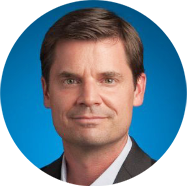 As Head of Publisher Policy Communications at Google, John collaborates with leadership and functional heads across the company to articulate policy direction and strategy to publishers. He also serves as Google’s subject matter expert for the overall industry, providing publishers with feedback and guidance on important issues. John has history as an advertiser, publisher, builder of ad networks, and has managed data for over 90 Ad Networks. In each of these roles, he developed solutions which grew relationships, protected advertisers and assisted publishers in developing solutions for smart, scalable growth. William optimizes and accelerates growth efforts for LinkedIn using multiple digital marketing channels including organic search, paid search, paid social media marketing, and app store optimization. Prior to that he was at Disney for over six years, where he led Digital Marketing teams for a broad portfolio of Disney Interactive properties including websites and games. Melissa is a creative, high-energy, entrepreneurial business and marketing professional with nearly 20 years' experience in leading creative, strategy, agency operations and talent for some of the most prestigious brands. Prior to her role as President of Ant Farm Melissa has held leadership positions at Ketchum Public Relations, USA Networks, Miramax Films and Sony Pictures. Melissa is a strong believer in a motivational management style with an emphasis on staff growth and development and has a history of building and retaining award winning teams who love what they do. Proven success in establishing strong industry and client relationships as well as business development, creative ideation and an expertise in heart centered leadership. Melissa is on the Executive Board of A Place Called Home, a wonderful organization which focuses on creating opportunities for children and teens in South Central Los Angeles. When not trying to take over the world she enjoys doing improv and baking gluten free cookies with her tech savvy husband and their adventurous toddler daughter. Anne Ahola Ward is an SEO, Futurist, and CEO of CircleClick Media, founded in 2009. She has nearly 20 years of experience working on the web in various functions, having mastered almost every role in web development: DBA, webmaster, developer, graphic designer, and video editor. She was a developer for 10 years, and through her love of analytics, Anne transitioned into the field of SEO as the field was forming. Anne now specializes in SEO, analytics and social media. She is currently writing the next SEO book for O’Reilly, entitled SEO for Developers, due to be published July 2016. Anne was named as one of Entrepreneur magazine's 27 Top Masters of Marketing and PR that everyone can learn from. In 2015, she was invited to be a part of the elite IBM Futurist program, as a Commerce Influencer. 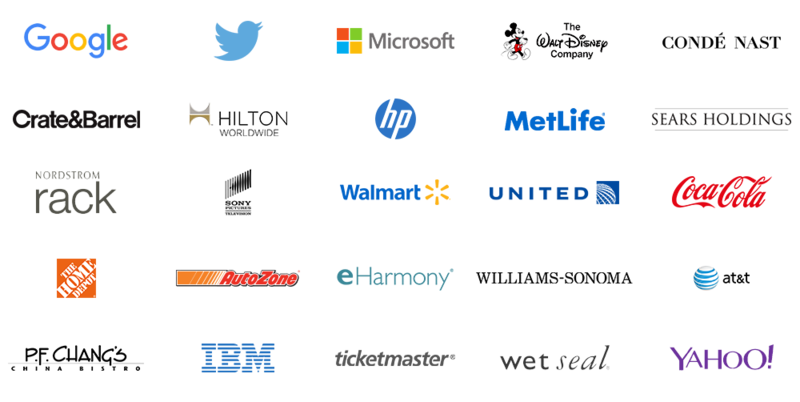 Anne has previously been a speaker at IBM Insight, PR Summit, Developer Week, and the Search Engine Journal Summit. Jeff Preston is the SEO Manager at Disney Interactive. He leads the search optimization of Disney's entertainment sites including TV, movies, music, games, and videos. 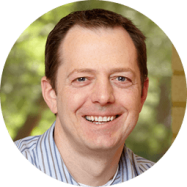 Prior to joining The Walt Disney Company, Jeff worked at PEK Interactive Japan, managing search marketing campaigns for clients in the Asia/Pacific region. 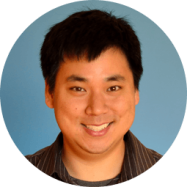 Larry Kim is the founder of WordStream , a leading search marketing software and services provider based in Boston, managing approximately over a half-Billion in annual ad spend across over thousands of customers. 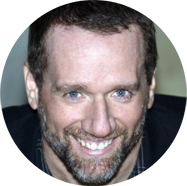 He regularly shares his advice and insight with over a million visitors a month at his WordStream Blog and is a columnist and top contributor for leading industry publications including Inc. Magazine, Search Engine Journal and Social Media Today. 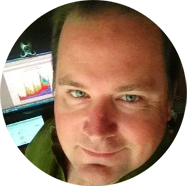 Larry has spoken at numerous industry events including INBOUND, SMX, Pubcon, ClickZ/SES, SearchLove, PPC Hero Conference, SEMPDX, MNSearch, SAScon, Marketing Festival etc.. 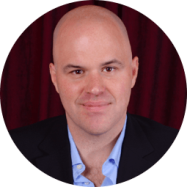 He was recently named "Most Influential PPC Expert" for 2013 and 2014 by PPC Hero Blog and marketing agency 3Q Digital and won ClickZ's Digital Marketing Hall of Fame and Small Business Influencer awards in 2013. Loren Baker is the creator of Search Engine Journal, and co-founder of consultancy firm, Foundation Digital. Loren has been involved in the internet marketing field since 1998 with a background in paid search and search engine optimization. In 2003, he began blogging his research and thoughts on the industry, which blossomed into the current Search Engine Journal. He currently resides in the Los Angeles area. Be the first to know about what's happening at SEJ Summit. We'll keep you up to date on the many networking and learning opportunities in store for you. Showcase your brand as an industry thought leader, and get in front of our community of search marketing professionals. Download the sponsor prospectus here, or email jessica@searchenginejournal.com for more information. Page One Power is the link building firm based in Boise, Idaho. We manually build relevant, evergreen links that help our clients achieve their organic search goals. Our day of learning and networking includes a single track of eight 20 minute sessions and four Q&A panels. Sales pitches, product demos, and sponsored content is prohibited during sessions to ensure that you receive a high-quality educational experience. 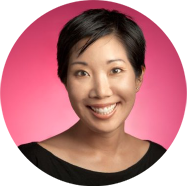 Googler Maile Ohye distills what she’d prioritize in SEO for 2016. To holistically understand your SEO-ecosystem, it is best to view it through multiple lenses. Using examples and stories from his time at Disney and LinkedIn, William will walk us through how he ‘stacks’ tools to get a better view of what is really happening with his SEO. Mobile usability is no longer a debatable frill, it’s a table stake. This session will be given by a former developer on best practices for mobile SEO. We will cover the latest SEO trends and stories from the field as they relate specifically to the Nth screen. Figure out how to get your app to rise to the top when we review the best (and worst) practices of App Store Optimization. A good ad experience minimizes customer frustration and inspires your customers to convert. John Brown’s session will cover how to create a good ad experience designed to increase customer engagement, tell your brand story across platforms, and monitor how and where your ads are showing up. You can make people laugh, or make them cry…but to engage consumers you must make them “feel”. There is no better tool than video for evoking an emotional connection with your audience. 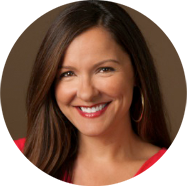 Melissa’s session will show how to craft compelling video campaigns that bond customer and brand. Accelerated growth and agile marketing tactics aren’t just for startups. Kevin will review examples and how-tos on startup techniques that he’s deployed successfully with enterprise level marketing teams, focusing on funnel improvement and paid advertising. Larry’s session will walk us through seven covert ways to leverage your social media ads for boosting consumer engagement and elevating your brand’s rank in search. Start your day early with us. Get to know speakers and fellow attendees over a hearty breakfast, or get some work done with the complimentary WiFi. Claim your chance for 1-on-1 time with a speaker of your choice during our intimate, catered sit-down lunch. SEJ Summit speakers and panelists will each host a table for up to 10 attendees. Make more friends after the conference, or get to know new ones better. We'll top the day off with a hosted happy hour reception equipped with a limitless bar and tray passed hors d'oeuvres. Where can I purchase a ticket for SEJ Summit? Tickets are available at http://search-engine-journal.eventbrite.com/. Admission includes catered meals: continental breakfast, sit-down lunch, refreshment breaks, and networking reception, as well as high-speed WiFi, access to speaker presentations, and gifts from participating sponsors. Sessions will run from 10:00AM to 3:00PM. Each presentation is limited to 20 minutes and will be followed by a 10 minute Q&A. Catered breakfast, lunch, and breaks will be provided. We’ll top off the day with a cocktail networking reception so you can mingle with speakers and other search marketing pros. Content is tailored for the professional search marketer. Topics covered will include: SEO, paid search, social media, content marketing, CRO, UX, Google happenings, actionable tips on linking, and how to make things happen in house. Check out presentations from our 2015 conference series here. Loews offers valet parking only. Attendees will receive a discounted rate of $15 per car. The nearest off-site lot to is located at 333 Civic Center Drive, on the corner of Olympic and 4th (a 6 minute walk to the venue). and how-tos for the SEO and marketer community. Copyright 2019 Search Engine Journal. Published by Alpha Brand Media, all rights reserved.